On May 18, 1927, the small town of Bath, Michigan, was forever changed when Andrew Kehoe set off a cache of explosives concealed in the basement of the local school. Thirty-eight children and six adults were dead, among them Kehoe, who had literally blown himself to bits by setting off a dynamite charge in his car. The next day, on Kehoe's farm, what was left of his wife---burned beyond recognition after Kehoe set his property and buildings ablaze---was found tied to a handcart, her skull crushed. 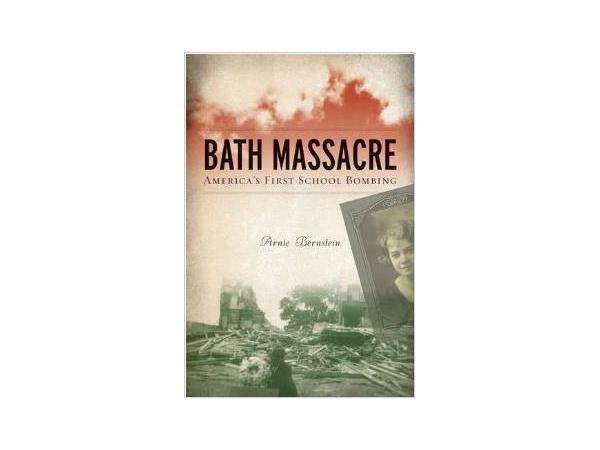 With seemingly endless stories of school violence and suicide bombers filling today's headlines, Bath Massacre serves as a reminder that terrorism and large-scale murder are nothing new.